The fallout of the brawl at UFC 229 continued on Wednesday, as Dillon Danis and two members of Khabib Nurmagomedov’s team have had their suspensions extended by the Nevada Athletic Commission. Danis, along with Zubaira Tukhugov, and Abubakar Nurmagomedov received extensions on their current suspensions on Wednesday by the Nevada Athletic Commission. The suspensions are pending upon a disciplinary hearing set for a NAC meeting set for December or January. All three men’s suspensions come due to their role in the post-fight brawl following Khabib Nurmagomedov and Conor McGregor’s UFC 229 main event, where Nurmagomedov would attack Danis after making McGregor tap in the fourth round of the event in Las Vegas. 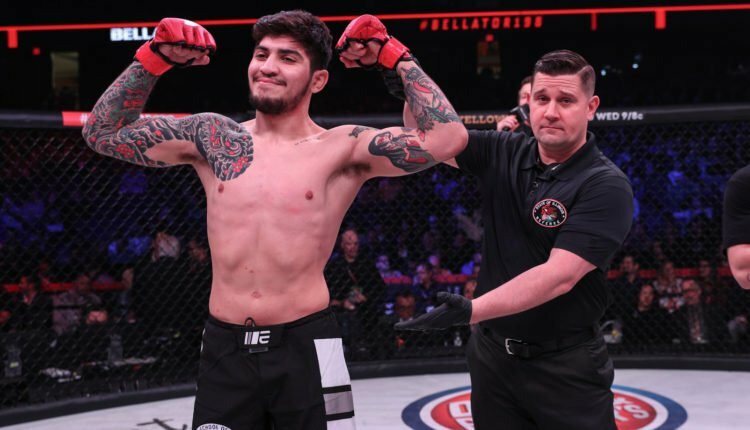 Prior to Wednesday, Danis, Tukhugov, and Abubakar (Bellator, the UFC, and the PFL, respectively) were all under temporary suspension following the events of Oct. 6. None showed up at Wednesday’s meeting. The two men who helped instigate the incident, Rizvan Magomedov and Esedulla Emiragaev, who were listed on the docket and would not appear on Wednesday. Magomedov’s involvement was due to an argument with Danis after the fight and confronting McGregor after the Irish star would begin trading punches with Nurmagomedov’s teammates including Emiragaev.